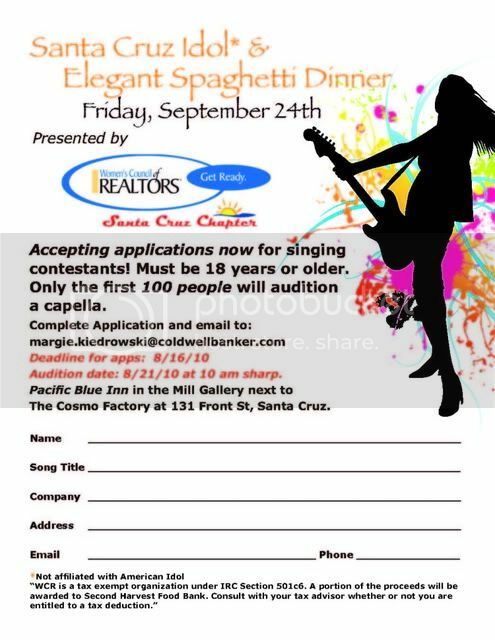 The Santa Cruz Chapter of the Women’s Council of Realtors is now accepting applications from singing contestants for their annual Santa Cruz Idol & Elegant Spaghetti Dinner. 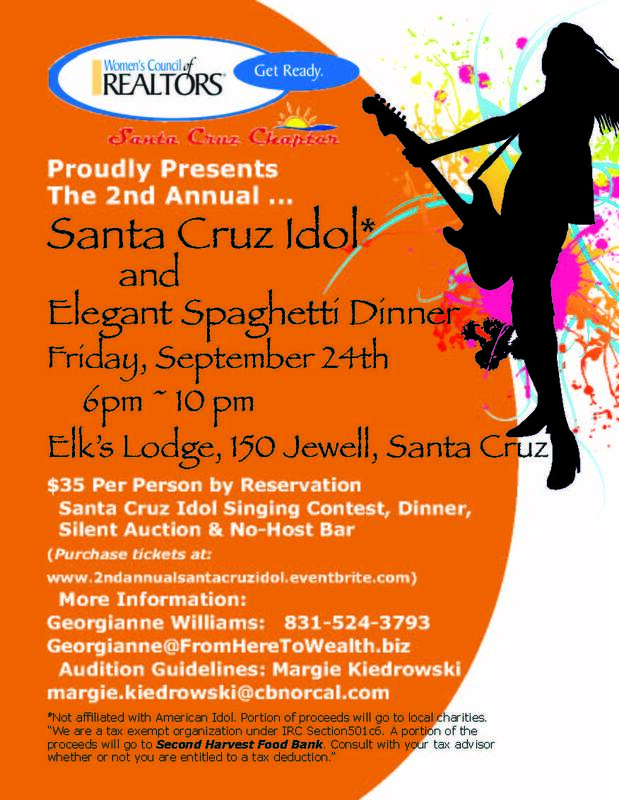 This entry was posted on August 12, 2010 at 3:13 pm and is filed under Uncategorized. You can follow any responses to this entry through the RSS 2.0 feed. You can leave a response, or trackback from your own site.